It’s time to join the Rebel Alliance at IMAX! 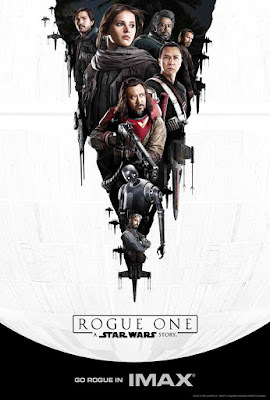 Lucasfilm's Rogue One: A Star Wars Story has unveiled four new IMAX one-sheets ahead of the film's December 15 bow in IMAX theaters in the Philippines. 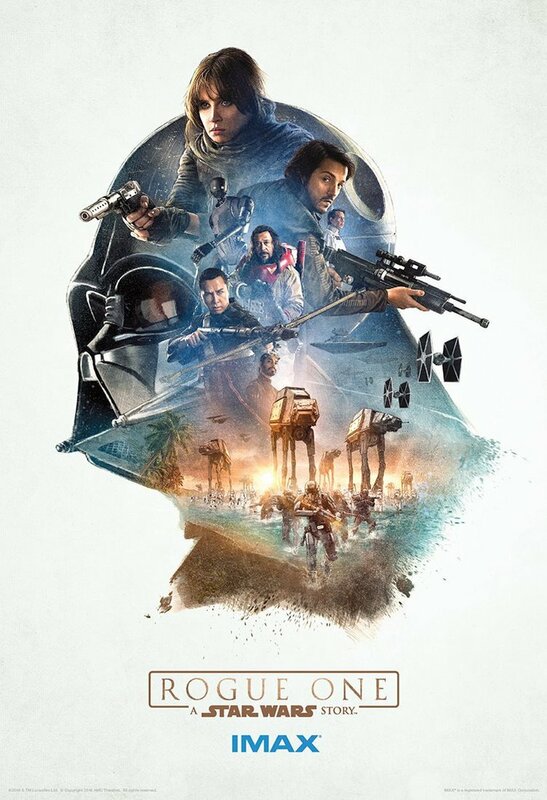 The IMAX release of Rogue One: A Star Wars Story will be digitally re-mastered into the image and sound quality of An IMAX 3D Experience® with proprietary IMAX DMR® (Digital Re-mastering) technology. The crystal-clear images coupled with IMAX's customized theatre geometry and powerful digital audio create a unique environment that will make audiences feel as if they are in the movie. 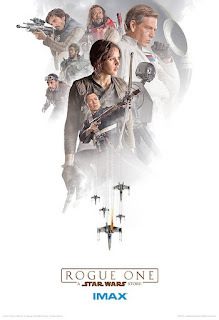 Lucasfilm presents “Rogue One: A Star Wars Story,” the first in a new series of Star Wars standalone films set in the universe fans know and love, but featuring new characters and storylines. 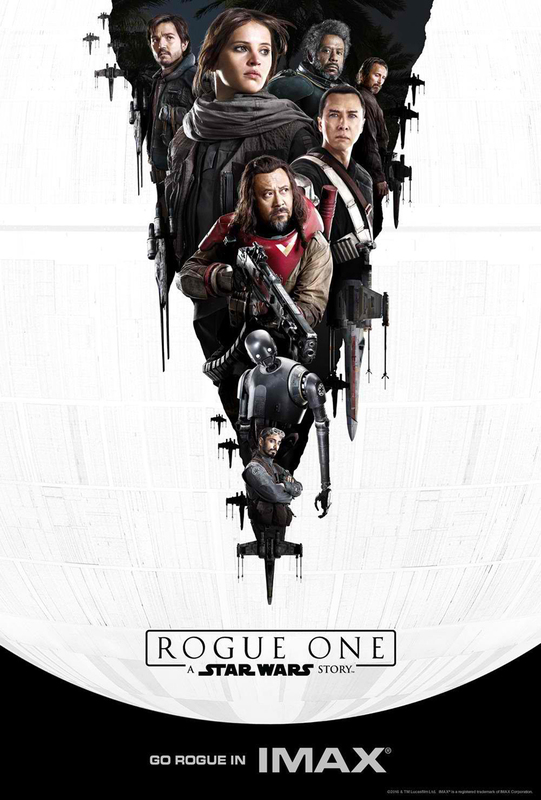 “Rogue One” tells the story of a group of unlikely heroes, who in a time of conflict band together on a mission to steal the plans to the Death Star, the Empire’s ultimate weapon of destruction. This key event in the Star Wars timeline brings together ordinary people who choose to do extraordinary things, and in doing so, become part of something greater than themselves. “Rogue One: A Star Wars Story” is directed by Gareth Edwards (“Godzilla,” “Monsters”) and produced by Kathleen Kennedy, Allison Shearmur (“The Hunger Games: Catching Fire,” “Cinderella”) and Simon Emanuel (“The Dark Knight Rises,” “Harry Potter and the Deathly Hallows Parts 1&2”). Veteran ILM visual effects supervisor John Knoll (“Pirates of the Caribbean”), who shares a long history with the Star Wars films, is executive producer alongside Jason McGatlin (Star Wars: The Force Awakens, “The War of the Worlds”). 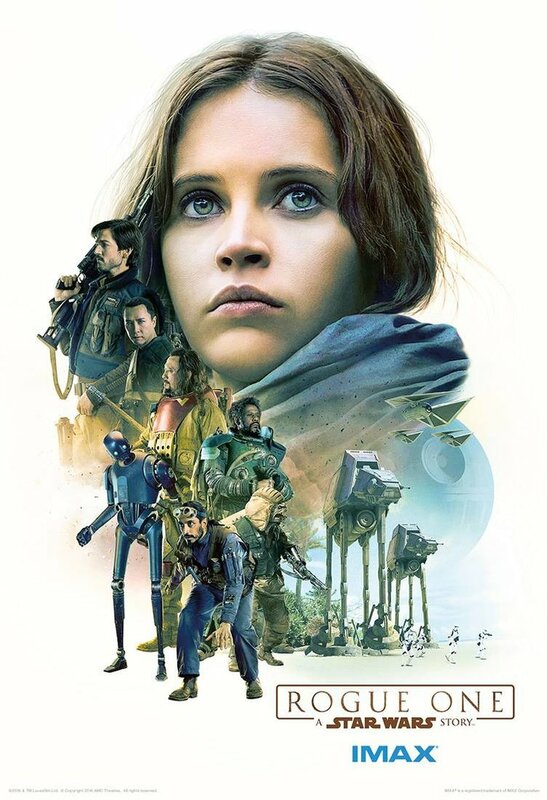 Academy® and BAFTA Award nominee Felicity Jones (“The Theory of Everything”) heads up the cast and stars opposite Diego Luna (“Milk,” “Elysium”). Joining them are Ben Mendelsohn (“The Dark Knight Rises”), Mads Mikkelsen (“Doctor Strange”), Alan Tudyk (“Frozen,” “I Robot”), Riz Ahmed (“Jason Bourne”) and Academy Award® winner Forest Whitaker (“The Last King of Scotland”). The film also welcomes two of China’s biggest stars, Donnie Yen (“Ip Man,” “Blade II”) and Jiang Wen (“Let the Bullets Fly,” “The Sun Also Rises”). Opening across the Philippines on December 15, “Rogue One: A Star Wars Story” is distributed by Walt Disney Studios Motion Pictures through Columbia Pictures.